The recent arrest in Armenia of a website manager and her assistant on extortion charges has cast a shadow on the country’s media industry, creating a challenge for it find ways to combat this vicious phenomenon. The police reported that one of the members of the National Assembly of Armenia, on May 2, reported that Ani Hovhannisyan, the director of Analitik.am, demanded from him a monthly payment of 300,000 drams (about $700) for not publishing fake information related to him, his family members, his parliamentary activities, as well as other defaming and discrediting materials. On May 3, the police detained the assistant of the director when she had already taken the extorted money. 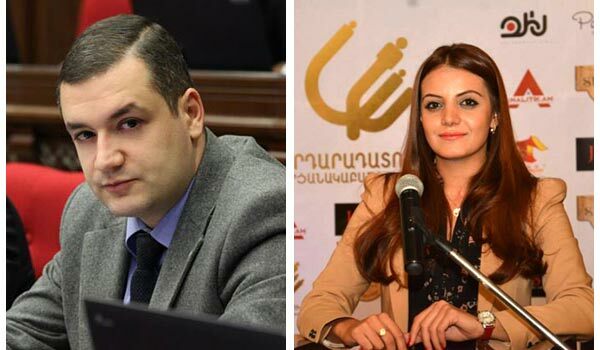 Later, some media reported that it was Tigran Urikhanyan, the leader of the opposition Alliance party, a former member of the Prosperous Armenia Party (PAP), who had previously submitted a report to the police against Hovhannisyan. The arrest was widely discussed in the public the next day. Comments ranged from irony to condemnation. Incidentally, the journalistic community remained as neutral as it could. Media expert and journalist Gegham Vardanyan, the coordinator of the Media.am site, believes that the journalistic community should discuss this incident and analyze how to deal with the communication at hand. “This arrest is perhaps an opportunity to speak about the phenomenon, and by saying it I mean the rumors about the existence of websites, with minimal resources, which have specially been designed to earn ‘black’ money,” Vardanyan told ArmeniaNow. According to the expert, at least those news websites and publishing houses that have a loyal and stable audience, which trusts them, should not worry that their impartiality could be questioned by using this incident. “Those sites should continue to work and strengthen confidence. Let the court judge the case,” he said. Lilit Avagyan, who has an extensive work experience as a journalist, is sure that sometimes media representatives, to solve some problems linked with the survival [of their organization], are forced, and sometimes with “pleasure”, turn to different officials or business people to illegally sponsor a particular media outlet. According to the journalist, thus a problem emerges for the media leaders who are trying to work honestly in the field, because they are facing moral and financial problems. And while many may bring excuses on asking, demanding or extorting money from state officials, Avagyan does not considers those arguments justifiable. “The journalist’s job requires exceptional integrity. And the respect for the journalist’s vocation, the commitment to gain the trust of the reader, after all, just an honest desire to work are far more valuable than envelopes [with money] of a client,” she wrote.